There are three commands you can use in your commit message. 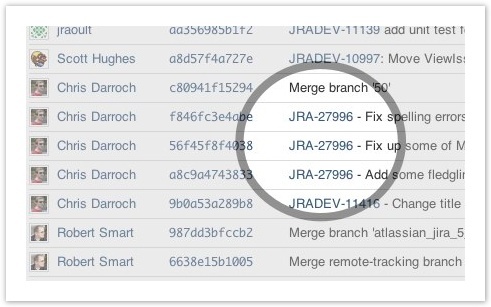 This example records 1 week, 2 days, 4hours and 30 minutes against an issue, and adds the comment 'Total work logged' in the Work Log tab of the issue. 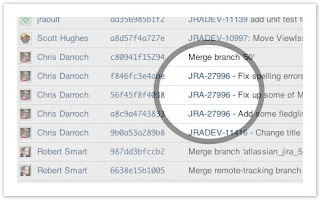 For this command to work, your system administrator must have enabled time tracking on your JIRA instance.